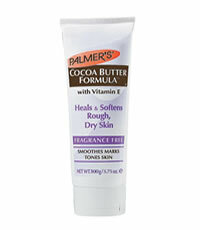 Formulated with pure cocoa butter and vitamin E, provides long lasting relief for dry, chapped hands. This entry was posted in 1 and tagged Free giveaways, free samples, freebies, hand cream, PALMER'S, PALMER'S COCOA BUTTER THERAPEUTIC HAND CREAM, S'pores 1st Sampling Concept Store, samples, singapore free beauty samples, singapore's 1st online sampling platform, skincare. Bookmark the permalink.